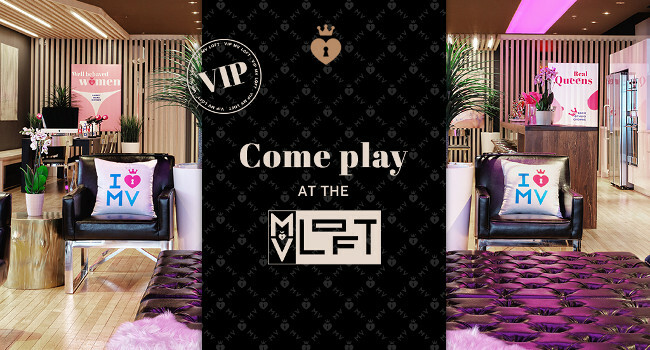 ManyVids cut the ribbon on sumptuous digs designed to be both getaway and content studio for the performers who sell their wares on the video marketplace. The MV Loft is a 3,500-square-foot private loft in Montreal, Canada. ManyVids will invite four MV Stars every week to spend five days and four nights in the posh residence, where they can create their own original content alone or with their fellow MV Loft roommates. In addition, ManyVids plans to produce a variety of original content to promote the MV Stars who participate. “It’s a very exciting moment,” said ManyVids PR Coordinator Stephanie. “The MV Loft was created to help give more exposure to MV Stars by promoting them as much as possible. Our MV marketing team is composed of true marketing masters who want to help propel our MV Stars to the top of the MV community. “If you want to be MV famous, being part of the MV Loft will bring them there in no time,” she added. The MV Loft was designed for work and play. MV Stars invited to the facility can explore the city of Montreal during their free time. ManyVids provides extras to sweeten the stay, such as a bottle of champagne, limo rides and an MV gift bag. To cap off the week of excitement, every Thursday MV Loft residents will be the VIP guests of honor during an official after party at the Somwhr Liquor Lounge, one of trendiest clubs in Montreal. VIPs receive unlimited free drinks and private security.